Accepts optional Cut-Off Wheels, 3" in diameter with 3/8" center hole. Extension design offers easy access to tight or confined areas. Design also allows for easier straight-type cuts. Also offers improved visibility of work piece. Rear exhaust; 20,000 RPM. Composite tool grip absorbs vibration and reduces cold air transmission to operator. Important: Speed of tool must not exceed maximum operating speed of accessory. Always use proper guards, wear eye gear and body protection. 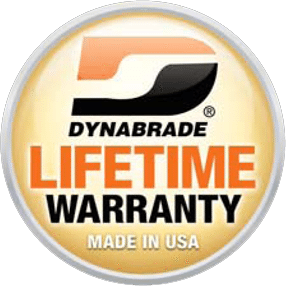 The Dynabrade 18075 3" (76mm) Dia. Autobrade Red Long-Neck Cut-Off Wheel Tool is a Dynabrade tool within the Cut-Off Wheel Tool category of tooling range. Type 1 Wheels of 76mm can be used which can also be supplied by DynaShop. A tool with a maximum RPM of 20000, a power rating (hp/W) of 0.5 (373) with a weight of 0.91kg.